6. "We Have Done What We Should Have"
7. "If You Want To Be My Friend"
17. "Lift Your Head, All Christians"
18. 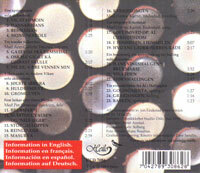 "In Heaven, In Heaven"
19. 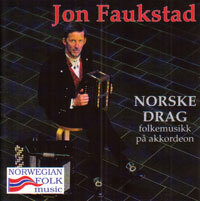 "Whoever Will Let The Lord Direct Him"
THE MUSIC OF THIS RECORD is a selection of the wide variety of Norwegian folk music that Jon Faukstad has played and presented over the years.These melodies are usually not played on the accordion. However, being a skillful artist and a true folk musician, Jon Faukstad makes you feel that this is exactly how these old folk tunes should sound.